We know that motorcycle accidents can lead to life-changing injuries. Among the paperwork and pushy insurance companies, you'll probably find yourself asking a lot of questions – often with no one to answer them. We can help. We'll listen to your questions, and we'll help you determine your best options after an injury. Do I have a case? 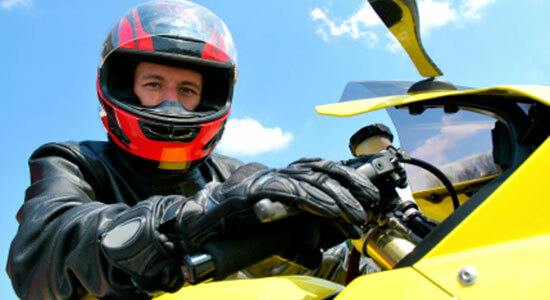 – Our legal professionals can determine if you have a motorcycle accident case. What's my case worth? – We'll help you understand what's important in building a successful case. Do I need an attorney? – Knowing when to hire an attorney can be confusing, but we'll answer your questions. Who pays my medical bills? – After a motorcycle injury, it's important to know who's responsible for your medical costs. How much does it cost? – Our case reviews are absolutely free, and, if you hire us, we won't charge you anything unless we win your case. Other legal questions – We have many resources to help answer your questions. Check them out. We're proud to represent injured bikers, because we believe they deserve the same respect as any other driver on the road. Since 1982, we've protected the legal rights of motorcyclists injured in accidents. We've recovered millions in verdicts and settlements that help our clients put their lives back together. We've recovered money for our injured motorcyclists, and we'll fight to get you compensation too. Still Have a Question? Call Us Now! If you've been injured in a motorcycle accident and can't find the answers you need, call us today. We'll review your case and answer your legal questions for free. Contact us at 1-866-943-3427 or simply fill out our free legal consultation in the top right corner. Remember, if we don't win money for your case, then you won't pay us a cent. That's our guarantee. There's never a fee unless we get money for you.